Just in! Whether you're looking for that perfect Hungarian baby bathtub (!) 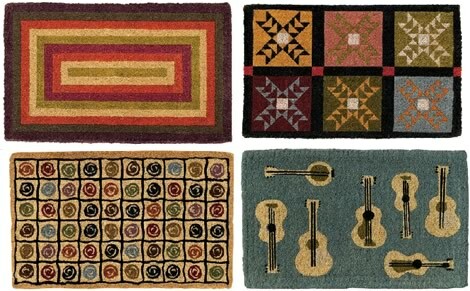 or a perky Autumn-themed doormat, Garnet Hill has lots of newbies that you're certain to enjoy this season. 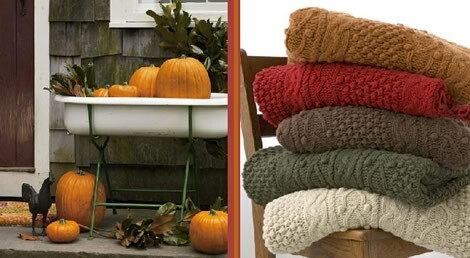 I'd like to curl up with a good book and wrap myself in this fisherman cable throw, doesn't it look so inviting? This would be a great present - this throw combined with a book and a box of your favorite tea - perfect for the man in your life. Not shown, but something worth a peek, the monkeypod twist stool is another favorite, very sculptural, organic, functional... Carved from a single piece of kiln-dried monkeypod wood! 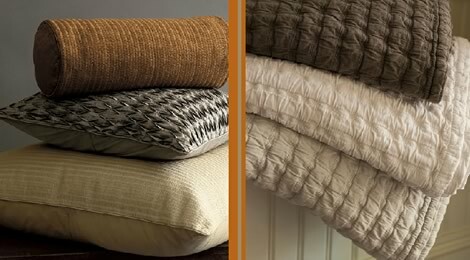 Garnet Hill now carries Eileen Fisher bedding, which looks so sophisticated and comfortable, doesn't it? Eileen is known for being luxurious yet unpretentious, straightforward yet informal, spare without being austere. It's no surprise that her bedding reflects her fashion sense.